Mateusz Tomaszkiewicz, the Game Director for Thronebreaker: The Witcher Tales, posted to PlayStation, detailing some important things he wanted eager fans to know before the game’s release on October 23, 2018 for PC, and December 4 of the same year for PlayStation 4 and Xbox. Tomaszkiewicz wrote about how the game was heavily influenced by earlier genre classics, including Magic: The Gathering. For as long as I can remember, I was always drawn toward card games, their illustrative and fantastical format always thrusting my imagination into overdrive. I think the first digital card game I ever played and completely fell in love with was Arcomage in Might & Magic VII. I also remember watching my friends play Magic: The Gathering a lot back when I was a kid. After that it was Etherlords, which I thought was a marvelous idea—combining mechanics of Heroes of Might & Magic, of which I’m a huge fan, with the card game format. Over the years I also had multiple run-ins with other digital card games—different editions of Magic: The Gathering, Duels of Champions, just to name a few. 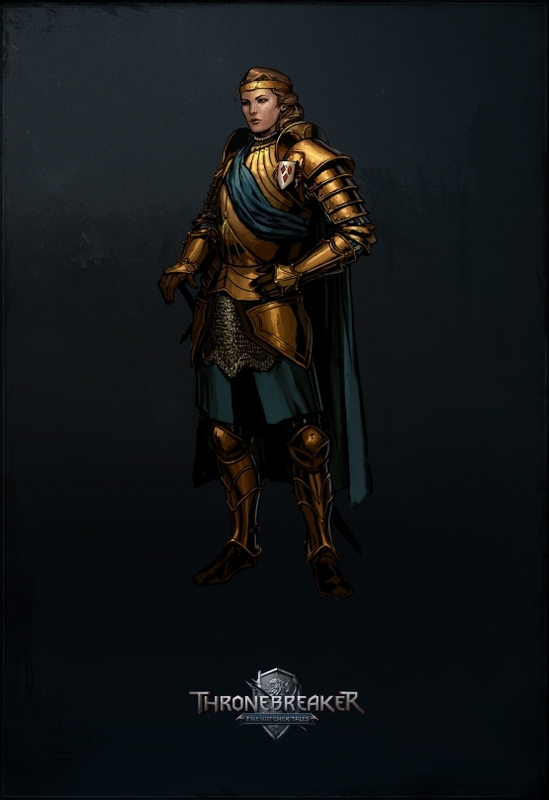 In telling a brand new story within the morally grey universe of the Witcher series about Queen Meve of Lyria and Rivia, an unexplored character, Tomaszkiewicz wanted to make sure that players would have the chance to dive into a world worth exploring, but on a scale that best suited the game’s mechanics. It wasn’t long before we started testing what would happen if we introduced free movement on the exploration map instead of the node-based design. An inevitable discussion about asset scale started soon after—how big should the player’s character be compared to objects in the world? A realistic scale would limit the size of playable areas. On the other hand, a full out-of-scale approach didn’t seem to fit all that well, either. The answer we were looking for was right in the middle—a scale that is closer to realism, but still undefined enough to allow players the possibility of exploring vast and varied areas, with Meve’s character representing both her, as well as her army. It seems like the development of this game was certainly put into respecting hands. You can check out the gameplay trailer for a better look at what hands those inspirations have dealt. Who else is excited for Thronebreaker: The Witcher Tales? Let us know in the comments.